Part-owner and Executive Creative Director of Lola/Lowe Madrid, Chacho aims to make his new agency a leader in creativity as well as maximize its financial potential. With a long and distinguished history in the advertising industry, Chacho brings to the agency his reputation, which includes winning 11 Cannes Lions in one year, as well as the drive to create a company that meets the challenges of the 21st Century. 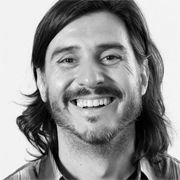 Before moving to Lowe, Madrid, Chacho headed Leo Burnett Iberia as Executive Creative Director for Portugal and Spain and was also the World Wide Creative Director for the Jeep® brand. Early in his career, he was the General Creative Director of EmeEfe/McCann Erickson in Mendoza, Argentina. Later, he worked with W3/Young & Rubicam, Tropa/Grey and Leo Burnett in Chile. In 2005 he was invited by Alexandre Okada to join Leo Burnett Lisboa, and later on work under the creative direction of Fernando Bellotti, with whom he won many awards. Throughout his career in the industry, Chacho has won more than 250 awards from all of the most important festivals including Cannes, Clio, One Show, D&AD, Eurobest and dozens of others. In recognition for his many awards, he was made a member of the selected World Creative Council of Leo Burnett. Chacho graduated in Social Communications at the Juan Agustin Maza University of Mendoza.